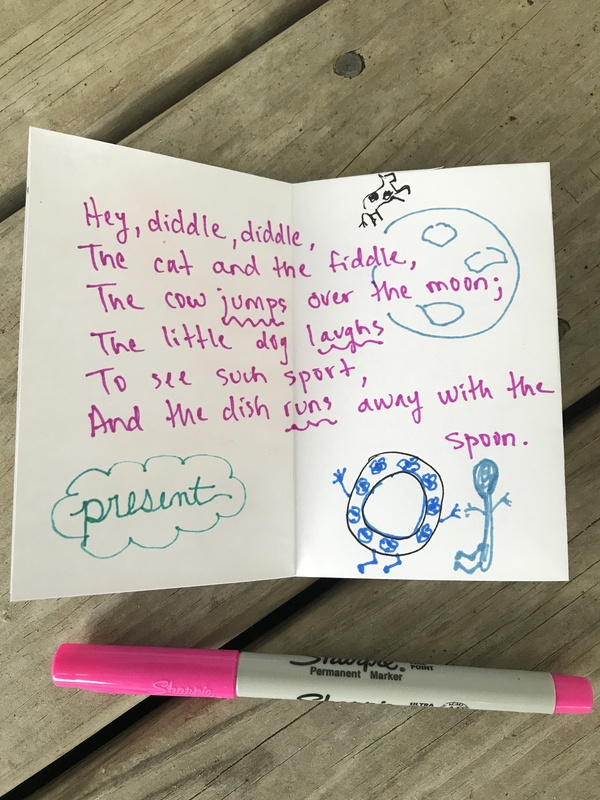 As most all teachers do over the summer, I have been tinkering with student materials (when I should be catching up with missed doctors’ appointments and bathroom cleaning and dog hair vacuuming– or even enjoying a day at the pool). I want a student-made dictionary style resource for commonly misspelled words for my students next year. 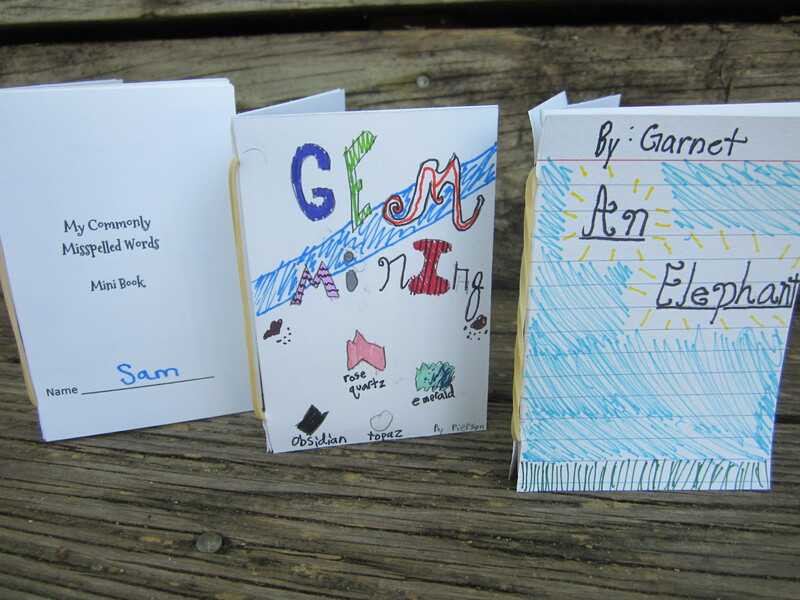 Ideally, the spelling notes will be in some kind of individual booklet that each student could add to all year. 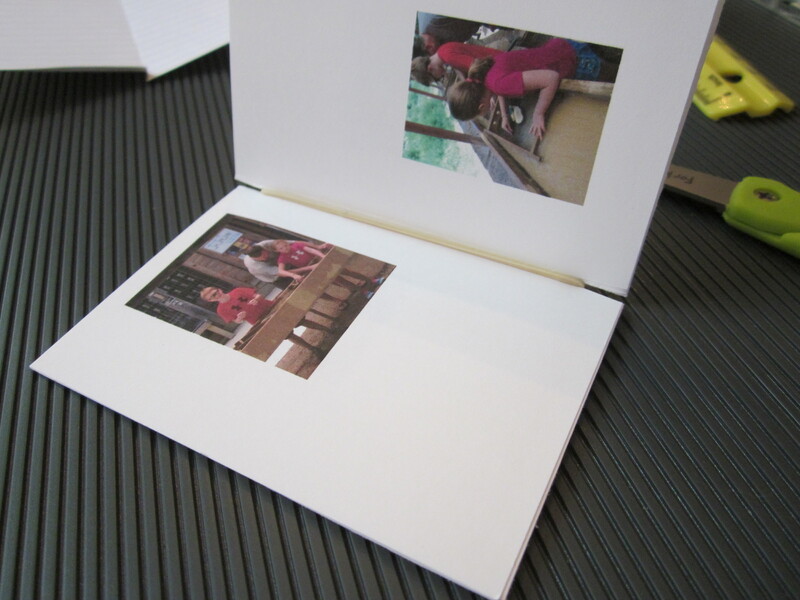 I may have found a solution– a sturdy little mini foldable booklet. I called in my temp help to see if the mini books would work, and team RoomMom has been printing, cutting, folding, and testing all day. 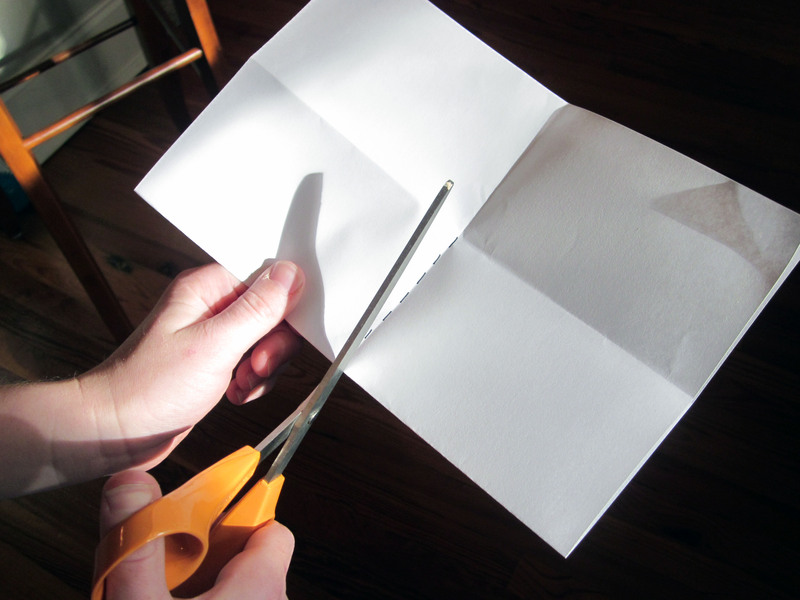 If you are using an 8 1/2″ x 11″ piece of cardstock, cut it in half horizontally and vertically, so you have 4 pieces of cardstock that are 4 1/4″ x 5 1/2″. 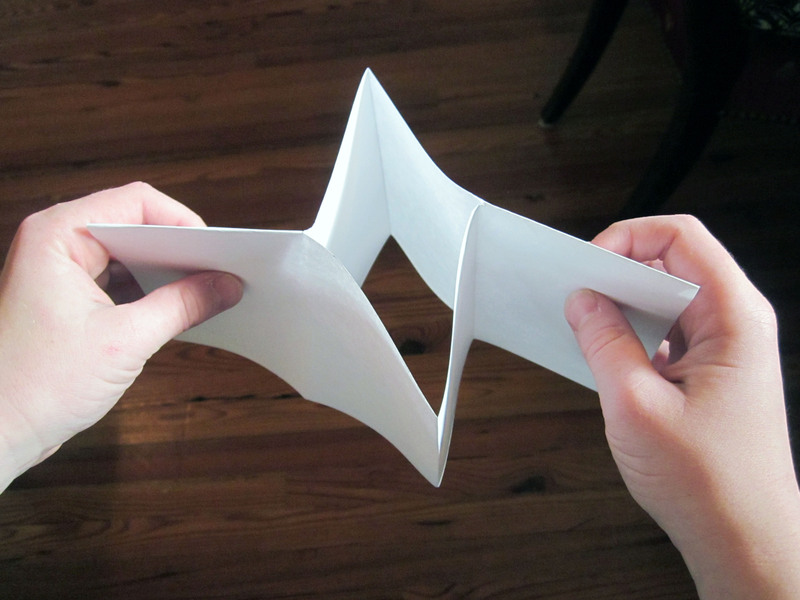 Fold each piece of cardstock in half the “hamburger” way making sure the corners line up neatly. That means the 5 1/2″ side would be folded. Press down firmly along the fold. 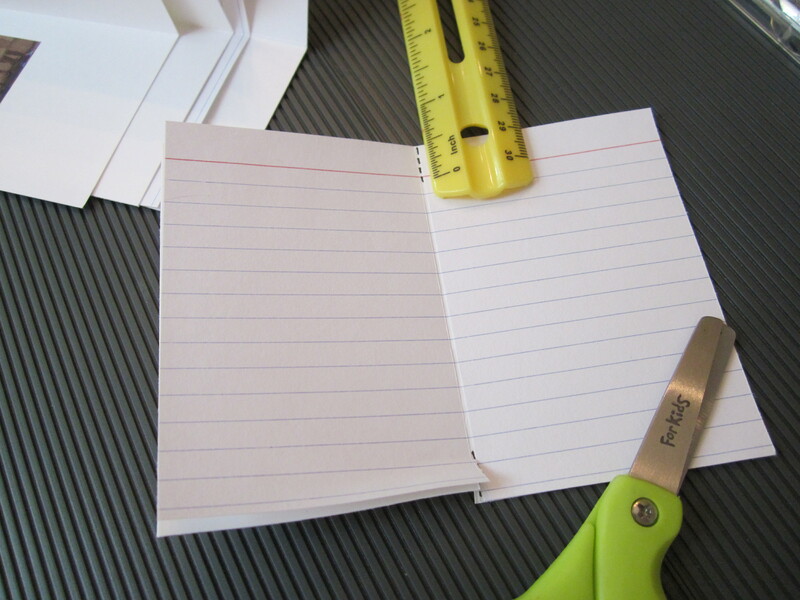 If you are using notecards, fold 2+ notecards in half the “hamburger” way making sure the corners line up neatly. That means the 6″ side would be folded. Press down firmly along the fold. Once each card is folded, stack the cards on top of each other lining them up evenly. I think 3-4 cards is about the right amount for each booklet. 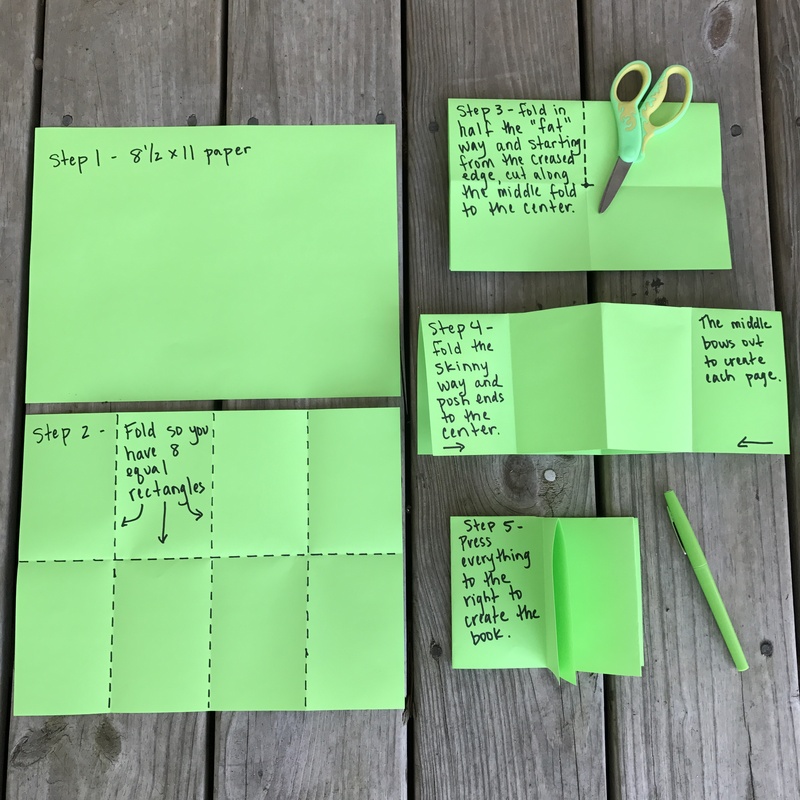 You can use a combination of notecards and cardstock. 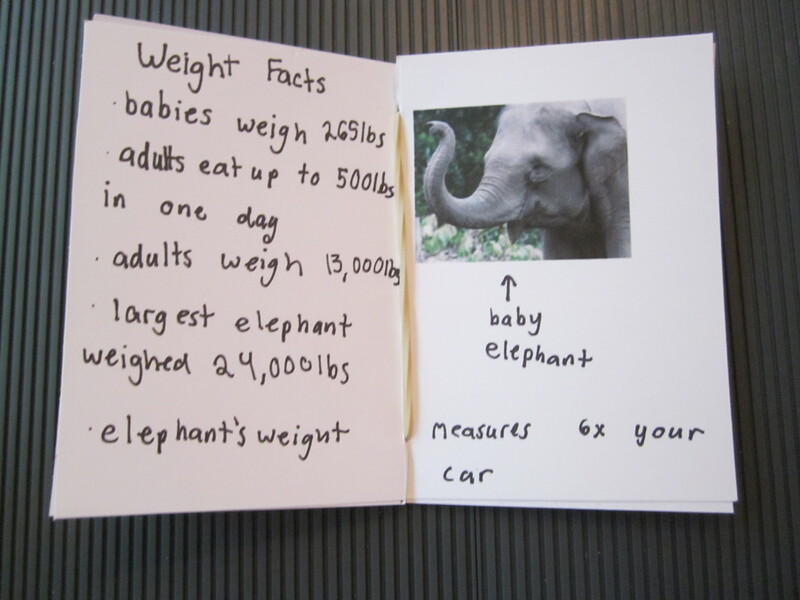 ** Make sure your sizes match if you are mixing cardstock and notecards. 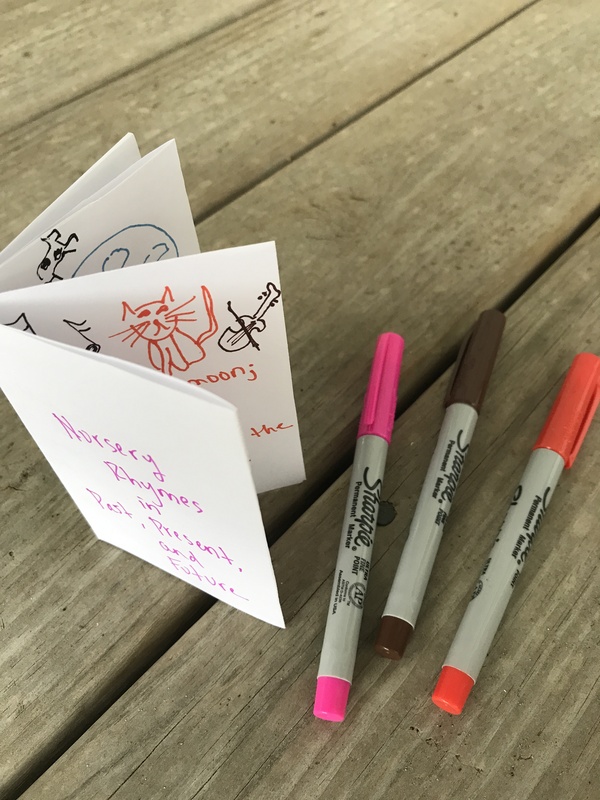 Decorate the cover and add notes, drawings, information, doodles… to each page of the booklet. I set up a template in Word and inserted the spelling information I needed. 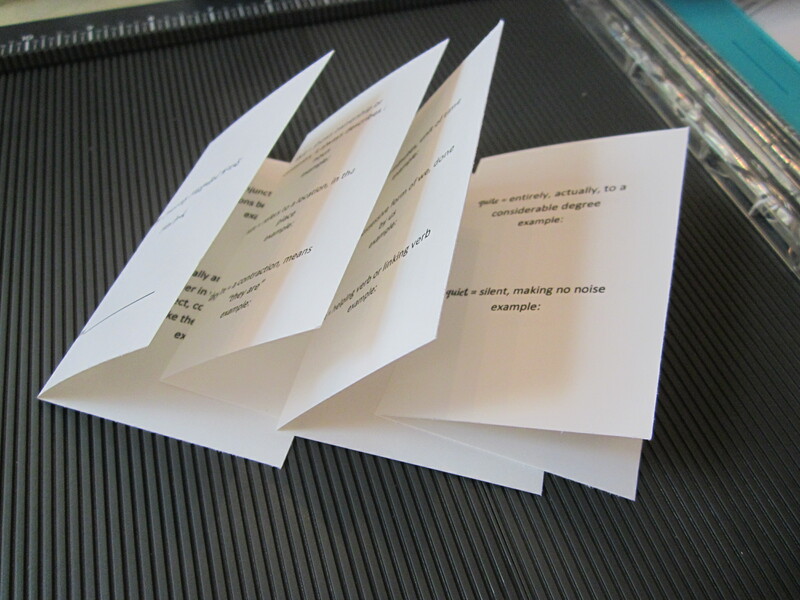 I printed front and back, cut down the paper, and folded the pieces into the booklet. There is space for students to add additional notes, but they will each have a starter booklet. Mr. Star Wars wrote a personal narrative about our trip to North Carolina last summer. 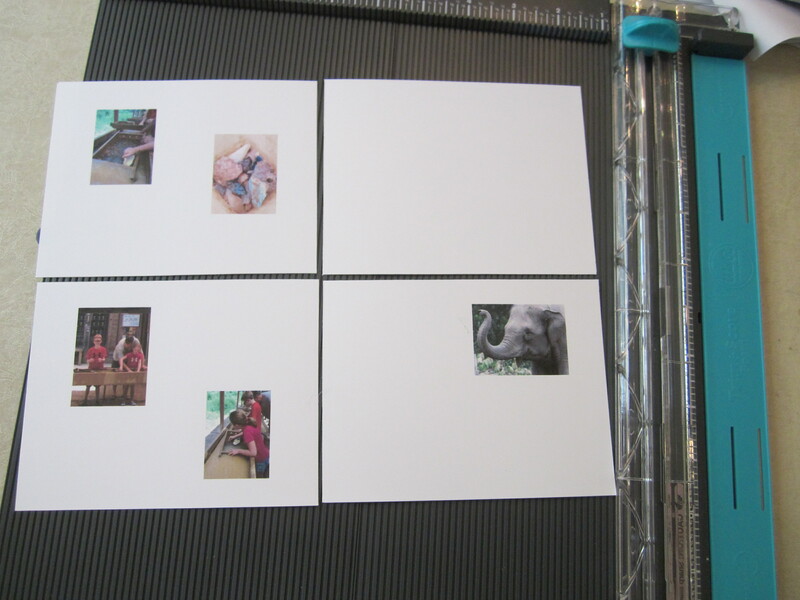 Using the Word document template, we inserted pictures and printed the pages (it takes a little spatial thinking to get your pictures on the pages in the order you want when you assemble the booklet). 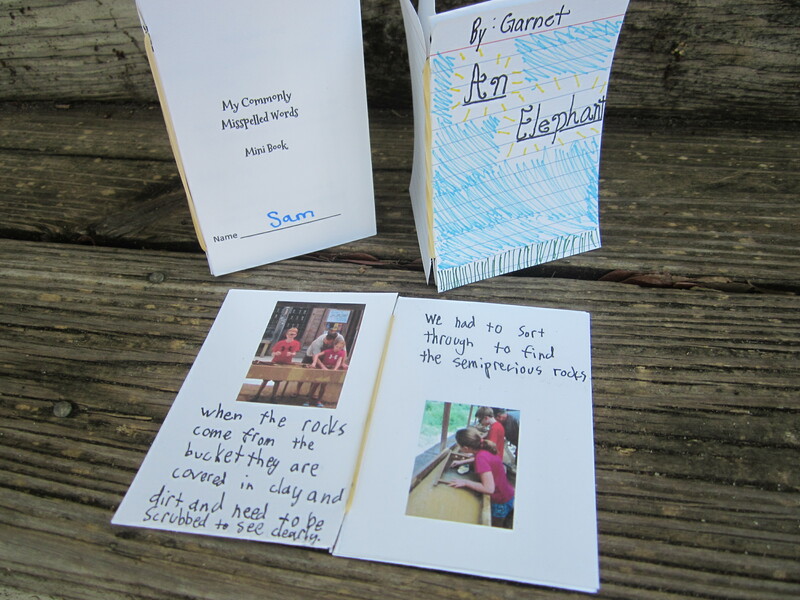 He handwrote the story using the printed pictures as enhancement. 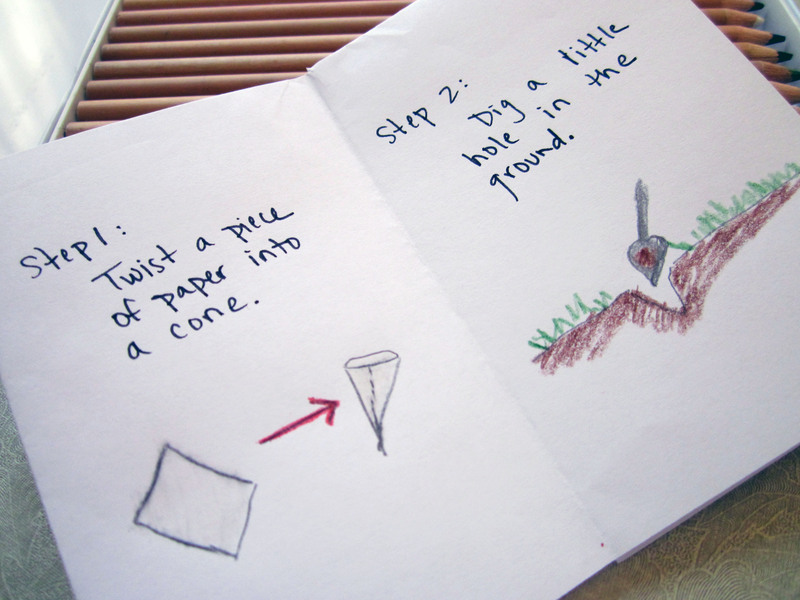 This would be a great back to school activity. 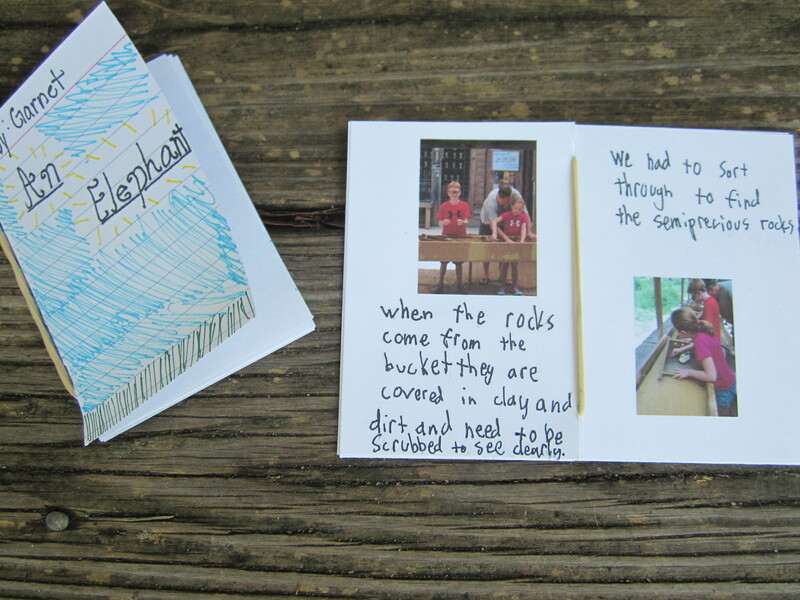 Students could use a blank booklet and write and illustrate a story about something they did over the summer. 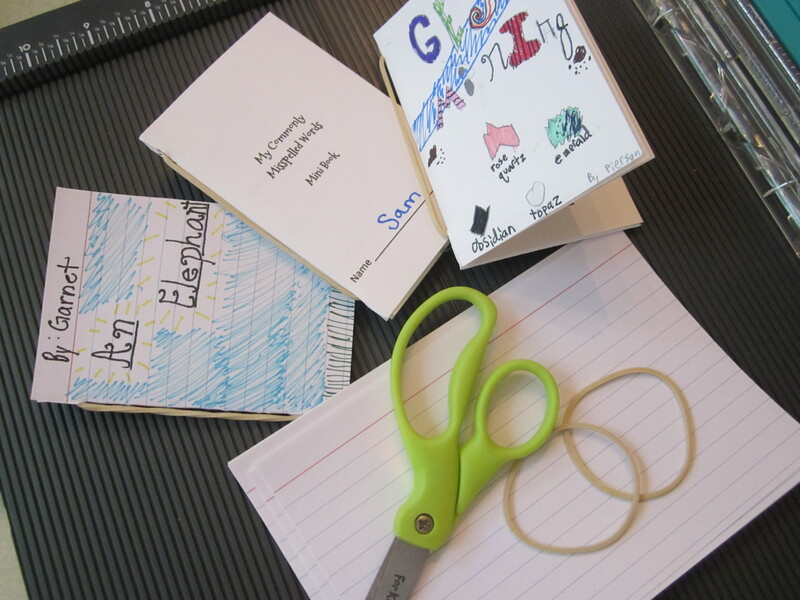 You could also use the booklet as a way to assess summer reading by having students create a book review in a mini book. Miss Priss used her booklet to report facts about elephants. This was an end of year project for her. She took her researched information, grouped it by topic, and wrote bulleted facts on each page. 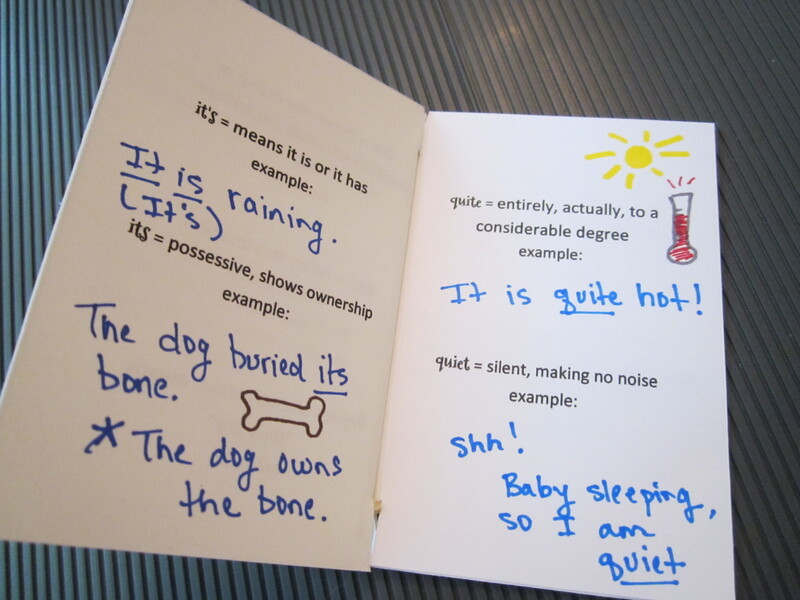 The spelling mini book template with pre-printed notes for 31 tricky words like there, their, and they’re is now available in my Commonly Misspelled Words product at my teacher store. CLICK HERE to purchase.